A landlord denied a court warrant to evict a tenant created a bogus eviction notice, forged the judge’s signature and served the notice on the tenant of an apartment he owns in Cortlandt, state police said. 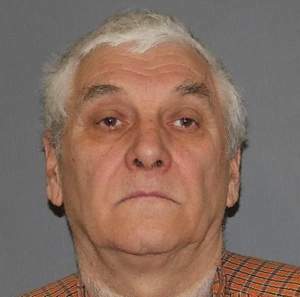 Now Joseph Bene, 66, of Mount Hope Road, Mahopac, faces counts of first-degree identity theft and second-degree forgery, felonies, after his arrest Tuesday, police said. Bene went to Cortlandt Town Court late last year to obtain a warrant to evict a tenant, but Justice Daniel F. McCarthy rejected the request, telling Bene he didn’t follow the proper procedure in filing paperwork, according to police. State police say Bene forged the judge’s signature on the bogus notice. But the unidentified tenant became suspicious and took the notice to court for verification. That prompted the police investigation, which began on Dec. 30 when the court notified state police. Bene was arraigned in Putnam Valley Town Court due to a potential conflict with the Cortlandt Court. His case was then transferred to the Carmel Town Court, where he is due Tuesday, police said. Richard Palmer of the Landlords of Rockland County said that while he can understand Bene’s frustration, he does not condone his actions.“If you don’t hire an attorney, which is usually (equal to) a month or two in rent up front, then you will end up doing the process yourself, which is very difficult,” Palmer said Thursday.Palmer, of Spring Valley, said he tries to check a potential tenant’s background before signing a lease to avoid having to evict.